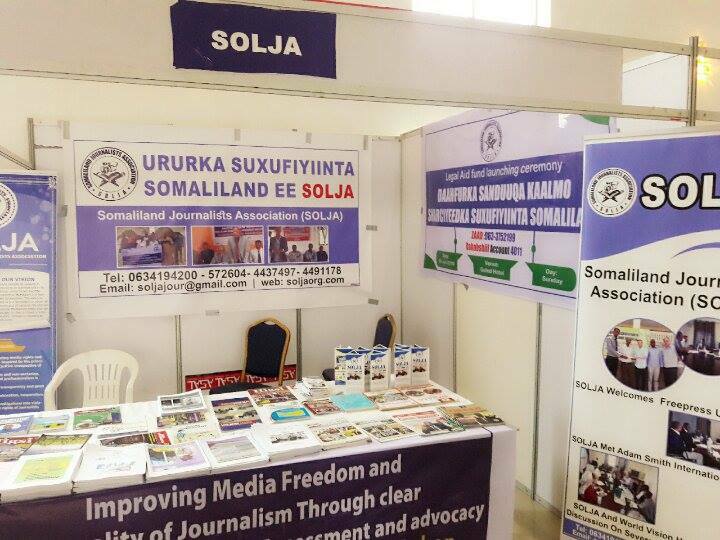 Somaliland Journalists Association (SOLJA) have participated the 9th Hargiesa international book fair held in Guleed Hotel and Park on 23th July 2016. The SOLJA management team with the help of its enthusiastic leaders have presented the organizations work in own stall in the Book Fair. 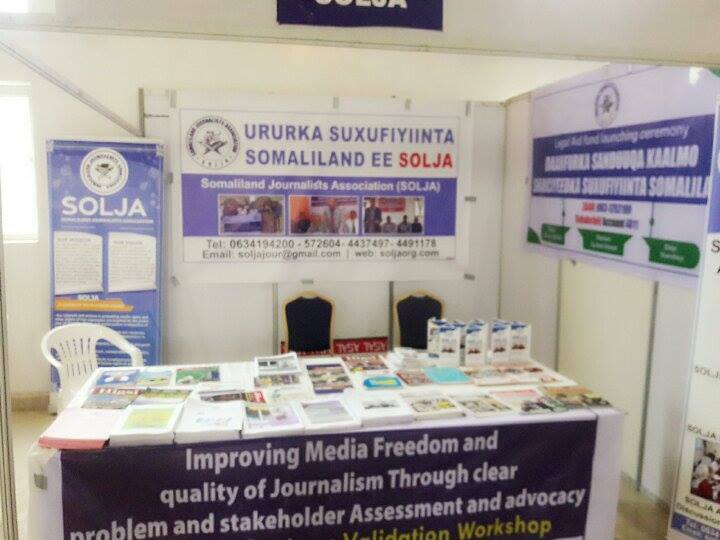 Some of our products we have presented were the different reports we have published in the past year 2015 about the Somaliland Media. 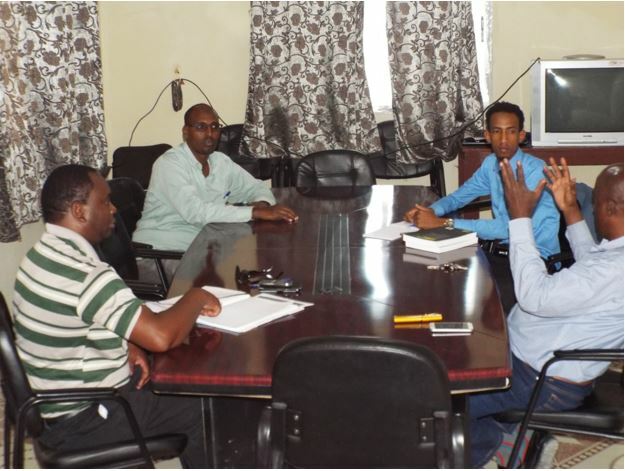 For example, Analysis of Somaliland Media, the Cases report for 2015 and most importantly the IPDC report called Somaliland Media Indicators report published and produced by SOLJA with the help of UNESCO. 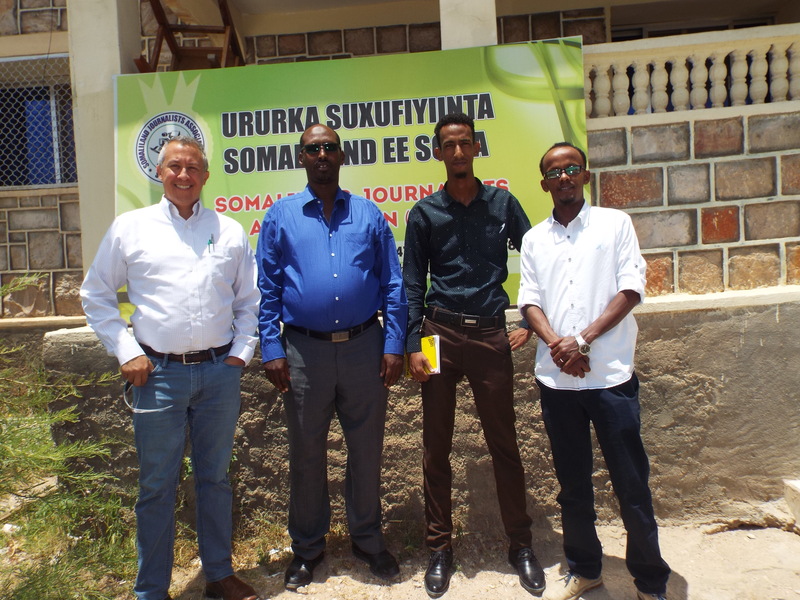 Apart from Public relations building approach on the book fair scene, the chairman of SOLJA Mohamud Abdi Jama was part of the programme events on HIBF 2016 by presenting a plenary speech on Media and Leadership with professor Karikari, Fin Rasmussen and Nageye Ali Khalif. 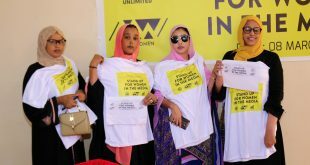 They have discussed how to encourage the political leadership to work with the media to build and exceed the democratic growth of Somaliland. They have also analysis best ways to build desired media environment that fit for purpose and respected in the eyes of the World! 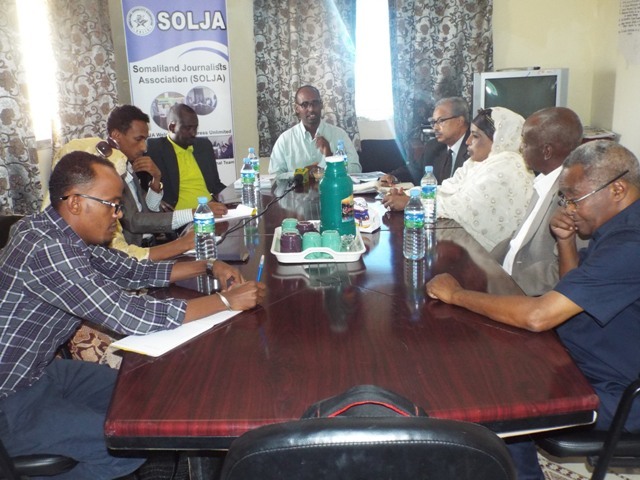 In addition, we have also had fruitful meetings and welcomed at our Headquarter the various delegate’s specifically senior journalists who have interests to build relationship and know more about Somaliland Media and SOLJA Association as well. 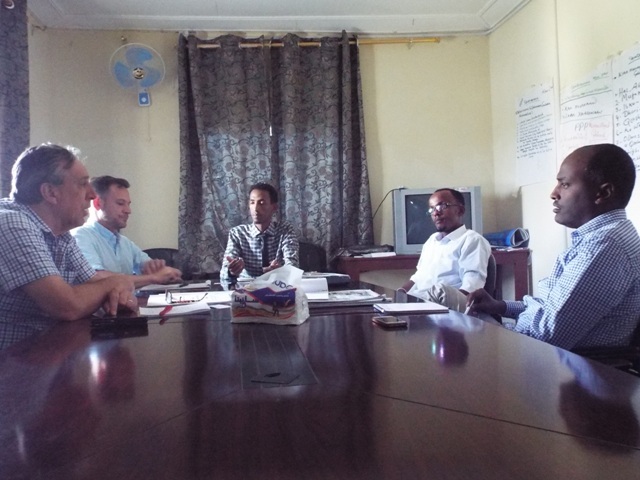 Our first meeting with these delegates happened on 25 July evening consisting of Professor Kwame Karikari who is the dean of School of Communication Studies in Ghana, Finn Rasmussen who is the Senior Programme Manager of IMS and Khalid Bashe the representative IMS in Somaliland. 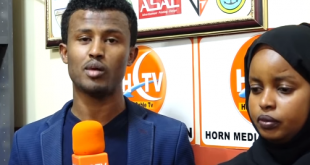 After highlighting of the current state of media in Somaliland by the SOLJA chairman and Executive Director, the professor have shared his deep rooted Media development in Africa and alternative approaches that can be reached Media progress in Somaliland for the coming years ahead. 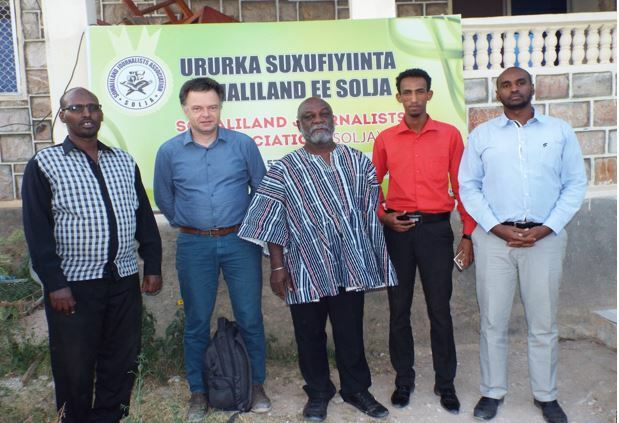 Secondly, in the SOLJA headquarter we have had an impressive meeting with delegates from UK Conrad Heina, who is Freelance Journalist and Editor, Two journalists from Kenya Jared Ombui who works for Kenya Broadcasting Corporation and Khainga O’okwemba who is a journalist and writer. 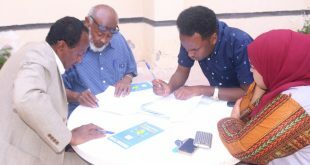 Our counter part consists of SOLJA chairman Mohamud Abdi Jama, the Executive Director, Yahye Mohamed and the programmes coordinator, Liiban Abdi Hasan. 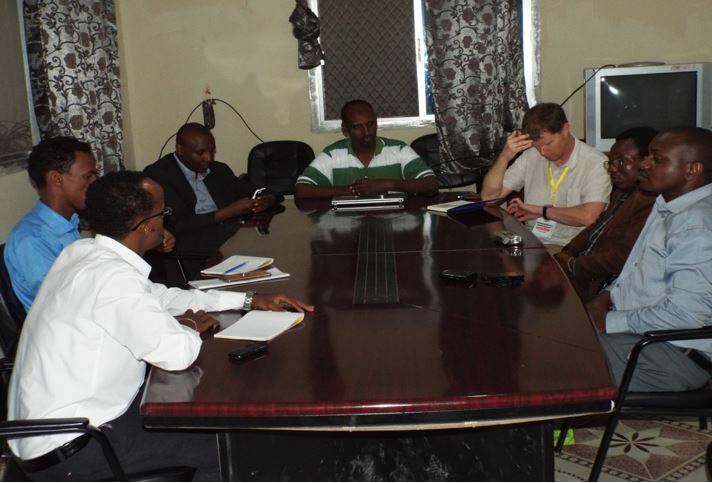 We have had an interesting information sharing and discussion in Somaliland Media and the Media programmes that needs to be raised. 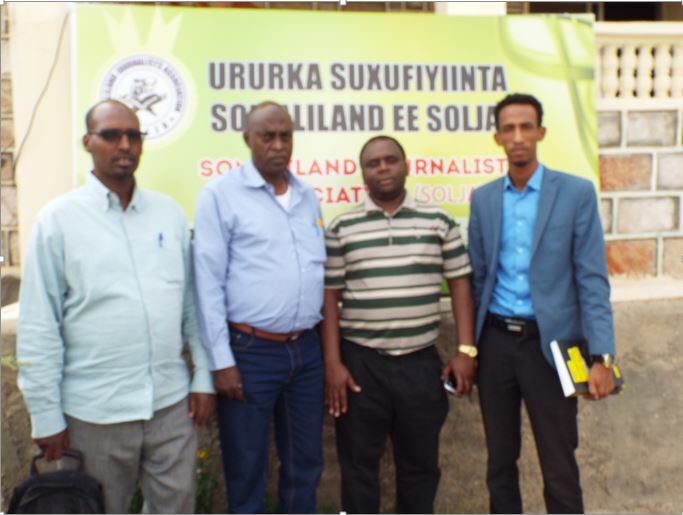 Though this discussion has a lot of benefit for SOLJA one thing that came out is that the practicing journalists and the media houses needs encouragement and we should look for possible partnership with international organization that assists us to conduct Annual Journalists Award. Ultimately, on the midday of the same week in July 27 we have had a one-hour meeting with Dr Patrick Karanja who is the researcher of Amnesty International on the conflict in Somalia/land. 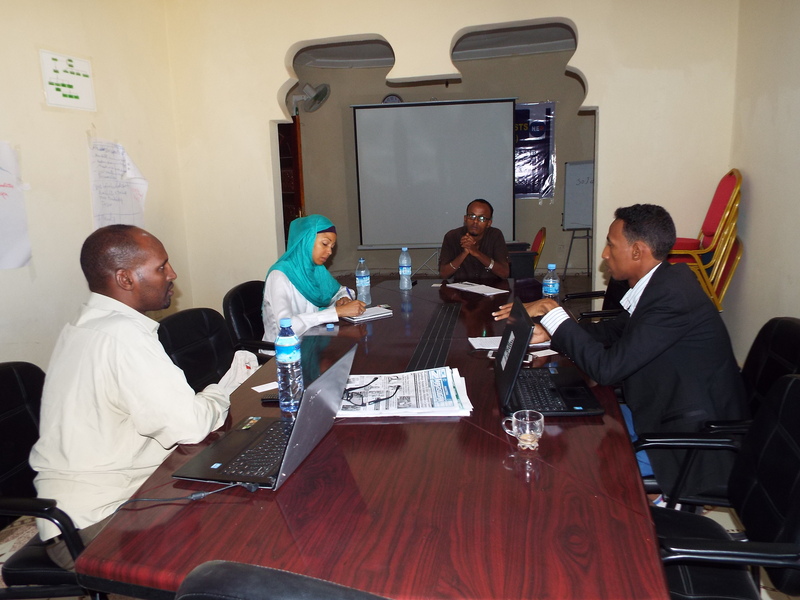 We have deeply analyzed the level of Human rights in Somaliland and the Media harassments in the region. Dr Patrick have really admired our work on defending human rights in general and to that of Journalists specifically because the journalists are the voice for all citizens and people at large.